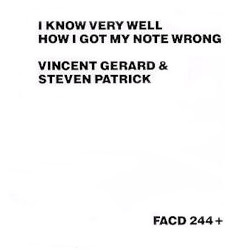 "I Know Very Well How I Got My Note Wrong" is actually a studio outtake of "I Know Very Well How I Got My Name", a b-side on the "Suedehead" single. 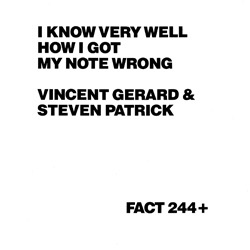 At the end of this take guitarist Vini Reilly misses some notes and he and Morrissey break into laughter. 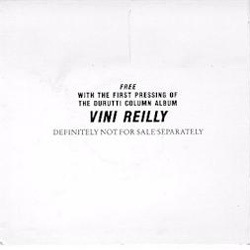 The single was given away in March 1989 with the first 1000 copies of Durutti Column's album titled "Vini Reilly": a 7" with the LP format, and a 3" cd-single with the cd album. 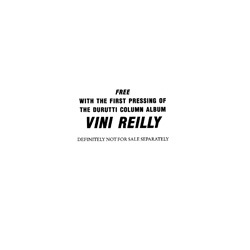 Against expectations, promos of this title are out there for collectors to get their hands onto, as copies of the cd with a "Out Promotion" plugger sticker on the back have made it on the collectors market.